***UPDATE***: In Boston federal court on January 24, Magistrate Judge Judith Dein dismissed the government’s attempt to seize Russ Caswell’s motel property. The January 11 suicide of information activist, computer hacker and technical wunderkind Aaron Swartz has focused attention on Carmen Ortiz, the U.S. Attorney for Massachusetts, whose overzealous prosecution may have led to his death. Swartz, co-founder of a website later acquired by Reddit as well as a prime developer of the online publishing infrastructure known as Rich Site Summary (RSS), was under federal indictment for logging into JSTOR—a database of scholarly articles accessible from universities across the country—and downloading its content with the intent to distribute the articles online free of charge. Despite JSTOR’s subsequent securing of the “stolen” content and refusal to press charges, Swartz was arrested by the feds and charged originally with four felony counts under the 1986 Computer Fraud and Abuse Act. On those charges alone, Swartz was facing a possible 35-year sentence and over $1,000,000 in fines. Just three months ago, a “Superseding Indictment” filed in the case by the U.S. attorney’s office upped the felony count from four to 13. If convicted, Swartz was looking at possibly over 50 years in prison: a conceivable life sentence. 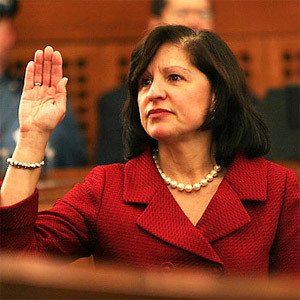 Ortiz, the politically ambitious U.S. attorney for Massachusetts, spearheaded the prosecution against Swartz. “Stealing is stealing whether you use a computer command or a crowbar,” Ortiz proclaimed in a 2011 press release. Her point man in the case was Assistant U.S. Attorney Stephen Heymann, a specialist in computer crime and son of Philip Heymann, the United States Deputy Attorney General during the Clinton administration. Stephen Heymann led the 2010 investigation into Albert Gonzalez, the TJX hacker, in the largest identity fraud case in history. Heymann’s office suspected that one of the unindicted co-conspirators named in that criminal complaint—“JJ”—was Jonathan James, a juvenile hacker who also killed himself two weeks after his house was raided. The details of the Swartz case are so suggestive of prosecutorial abuse that they have already led to widespread condemnation of Carmen Ortiz and Stephen Heymann. However, what’s missing from much of the expressed outrage is recognition that the “bullying” tactics employed by Ms. Ortiz are standard operating procedure for federal prosecutors when pursuing criminal cases. With a population just under 30,000, the town of Tewksbury, Massachusetts, is hardly considered ground zero for federal drug trafficking crimes. Just off Route 38, the town’s only major thoroughfare, sits the modest Motel Caswell. With just six reviews on tripadvisor.com—one “Poor” and five “Terrible”—even defenders of the $57 per night operation admit its shabby digs: “The Motel Caswell isn’t the Ritz,” its lawyer told a federal courtroom in November 2012. But that didn’t stop the Drug Enforcement Administration (DEA) and Ms. Ortiz’s office from trying to seize its assets . In 2009, the 69-year-old owner, Russ Caswell, received a letter from the DOJ indicating the government was pursuing a civil forfeiture case against him with the intention of seizing his family’s motel—it was built in 1955 by Russ’s father—and the surrounding property. Ms. Ortiz’s office asserted that the motel had been the site of multiple crimes by its occupants over the years: 15 low-level drug offenses between 1994 and 2008 (out of an estimated 125,000 room rentals). Of those who stayed in the motel from 2001 to 2008, .05% were arrested for drug crimes on the property. Local and state officials in charge of those investigations never accused the Caswells of any wrongdoing. Nor is the U.S. attorney charging Russ Caswell with a crime. The feds are using a vague but increasingly common procedure known as civil asset forfeiture. In criminal forfeiture, after a person is convicted of a crime the state must prove that the perpetrator’s property had a sufficiently strong relationship to the crime to warrant seizure by the government. In civil forfeiture proceedings, the state asserts the property committed the crime, and—under civil law—the burden of proof is on the defense to demonstrate their property is innocent. According to the sworn testimony of a DEA agent operating out of Boston, it was his job to comb through news stories for properties that might be subject to forfeiture. When he finds a likely candidate, he goes to the Registry of Deeds, determines the value of the property in question, and refers it to the U.S. attorney for seizure. It is DEA policy to reject anything with less than $50,000 equity. In other cases, that DEA agent testified, the property is brought to his attention by local police departments. He could not recall whether Mr. Caswell’s case was brought by local authorities or picked by his own research. Christina DiIorio-Sterling, a spokesperson for Ms. Ortiz’s office, maintained in an interview that local police brought the case to DEA. But if Tewksbury’s Finest suspected crime was occurring on specific property, why not initiate an investigation themselves? Why simply hand a case like that over to the feds? A review of Police Department arrest logs from 2007 through 2012 shows that despite a relatively high number of drug arrests at the Motel Caswell property in recent years, more suspects have been busted on drug-related charges at nearby addresses. But those corporations have extensive financial and legal resources, and would put up much more of a fight than a small business owned and operated by a single family. Before a public interest law firm took on his case, Mr. Caswell had already spent over $100,000 and was near bankruptcy. Ms. Sterling maintains that Ms. Ortiz’s office has no discretion in which properties are targeted. They simply act as the lawyers for other agencies of the federal government, in this case the DEA. In March 2012, former Massachusetts Probation Commissioner John J. O’Brien was indicted by a federal grand jury under the Racketeer Influenced and Corrupt Organizations Act (RICO). With two of his former deputies and alleged co-conspirators, he was charged with “one count of racketeering conspiracy and 10 counts of mail fraud,” according to The Patriot Ledger. Each of the 11 counts carries a sentence of up to 20 years. The lengthy indictment alleges that the three ran a hiring system for the Massachusetts Probation Department that gave preference to friends and family members of certain legislators and politically connected prospects. Those aforementioned counts of mail fraud consisted of “sending rejection letters to applicants they knew from the start they weren’t going to actually consider.” By this standard, any boss who ever hired a friend’s child—yet sent letters to other applicants in which he claimed they were considered before being rejected, as per standard hiring procedure—has committed mail fraud. Enacted in 1970 to enable prosecutors to convict leaders of criminal organizations who order subordinates to commit crimes but who are never themselves at the crime scene, RICO statutes have most widely been applied to drug cartels, the Mafia, and terrorist organizations. The logic is simple: if a mob kingpin orders a hit on someone, he has a strong First Amendment case that he isn’t at fault for the murder. Under RICO, the government only needs to prove a relationship between murderer and kingpin within an ongoing criminal organization. Mr. O’Brien and his codefendants are also under indictment for violating state campaign finance laws. But those are charges being brought by the Attorney General of Massachusetts, Martha Coakley, and are unrelated to the federal indictments issued by Ms. Ortiz’s office. It is the job of prosecutors to bring malefactors to justice with tools appropriate to the alleged offenses — for example, RICO vs. the Mafia or al-Qaeda. But excessive prosecutorial zeal that regularly aims the biggest guns in the government’s arsenal at the smallest fry can only undermine public support for the justice system itself. In cases like that of John J. O’Brien and Aaron Swartz, U.S. Attorney Carmen Ortiz’s penchant for bringing disproportionate charges intended for serious criminals against defendants who pose little or no threat to the public’s well-being suggests either puritanical vengeance or brazen self-promotion. Now consider the case of Tarek Mehanna, a Massachusetts pharmacist sentenced to 17 years in prison after being convicted in 2012 of supporting al-Qaeda and conspiring to kill U.S. soldiers in Iraq. Ms. Ortiz’s office claimed in the indictment that Mehanna travelled to Yemen with the intent of joining a terrorist training camp — although he never found one. Upon returning to the U.S., prosecutors allege, Mehanna translated documents written by members of al-Qaeda and posted YouTube videos in support of suicide bombings. The 2010 Supreme Court case Holder v. Humanitarian Law held that “protected speech can be a criminal act if it occurs at the direction of a terrorist organization.” Mehanna was eventually found guilty, although no causal relationship was established between his controversial advocacy against American foreign policy and direction by a designated member of al-Qaeda. As I was walking to my car I was approached by two federal agents. They said that I had a choice to make: I could do things the easy way, or I could do them the hard way. The “easy ” way, as they explained, was that I would become an informant for the government, and if I did so I would never see the inside of a courtroom or a prison cell. As for the hard way, this is it. Here I am, having spent the majority of the four years since then in a solitary cell the size of a small closet, in which I am locked down for 23 hours each day. The FBI and these prosecutors worked very hard — and the government spent millions of tax dollars – to put me in that cell, keep me there, put me on trial, and finally to have me stand here before you today to be sentenced to even more time in a cell. As I pointed out in an article discussing the assassination by drone strike of American-born cleric Anwar al-Awlaki, legal precedent holds that independent political speech—no matter how heinous and suggestive—is protected unless it passes the Brandenburg test of inciting imminent lawless behavior. According to this reading of the law, whether Mehanna simply agreed with al-Qaeda’s message and promoted his own views in that vein or was deliberately ordered to do so by al-Qaeda members, he was still engaging in constitutionally protected speech. But the Holder interpretation establishes that coordination between a designated terrorist organization and an individual, even to the point of providing that organization with advice to lay down arms and pursue non-violence, constitutes material support for terrorism. This was the precedent cited in finding that Mr. Mehanna was conspiring with terrorist organizations by virtue of his advocacy. One can debate whether or not that’s an appropriate legal restriction on free speech, and how the Holder ruling can be reconciled with Brandenburg. What shouldn’t be up for debate is the practice of threatening defendants with draconian outcomes—bankruptcy, 25 years in prison—to leverage guilty pleas to lesser crimes or on-going cooperation with the government. For Carmen Ortiz, Russ Caswell was like the weakest kid on the block who was wearing something she, or the agencies her office represents, coveted. In the cases of Aaron Swartz, Tarek Mehanna and John O’Brien, Ms. Ortiz’s fervency seems to have stemmed from the publicity such cases were sure to generate. All the defendants insisted on their innocence and fought the charges. The jury’s still out on O’Brien and Caswell, but Swartz and Mehanna have paid the price for their defiance. Although the conduct of Ms. Ortiz’s office may seem disproportionately harsh, this is unfortunately par for the course. Rather than a procedure dictated from Washington, U.S. attorneys and local D.A.’s enjoy broad discretion in the charges they press. Thanks to tough-on-crime laws and mandatory-minimum sentencing, prosecutors are able to extort—if they so choose—a quick end to the proceedings and a headline-worthy admission of guilt. To single out the conduct of Carmen Ortiz as an anomaly of America’s system of mass incarceration would be to misunderstand its character. She is a symptom of the entire disease. There are 70 comments Our Comment Policy: Keep it civilized, keep it relevant, keep it clear, keep it short. Please do not post links or promotional material. We reserve the right to edit and to delete comments where necessary.